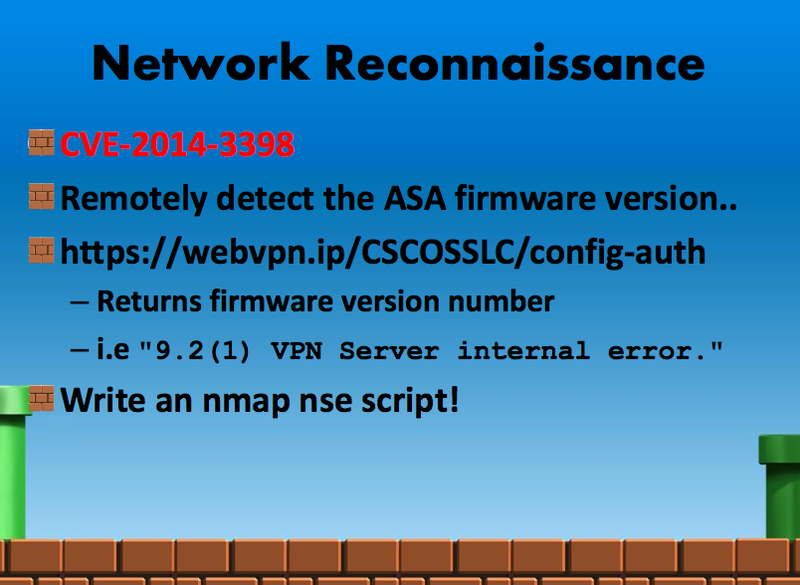 Cisco ASA administrators can remediate this vulnerability by applying the latest firmware for your appliance. Depending on the ASA model you will want to upgrade to at least version 8.2(5.48), 8.3(2.40), 8.4(7.15), 8.6(1.13), 8.7(1.11), 9.0(4.1), or 9.1(4.5). I couldn't find the nmap NSE referenced. but I checked against the above hosts and it didnt return any results :-/ so meh. curl -ssl -k -v "https://1.2.3.4/CSCOSSLC/config-auth"
At some point I may try to just add the check to that module until then you have the above. So I released the warez at Kiwicon two months later. The link was in those slides.